At Age of Learning our mission is simple: We’re committed to helping children everywhere build a strong foundation for academic success and foster a lifelong love of learning. We measure progress by our ability to increase learning outcomes for all children, particularly those who are furthest from opportunity. Children from low-income families begin to fall behind their peers in vocabulary development before they’re even two years old. By the time they reach fourth grade, 80 percent of these children are not proficient readers (Source: Campaign for Grade-Level Reading). This learning deficit has long-term effects on children’s academic future, including their likelihood of graduating from high school. To help address this challenge, Age of Learning has developed a set of Education Access Initiatives to make our educational programs available for free to children whose families may not be able to afford a subscription. Our Education Access Initiatives have helped educate more than 6 million children and counting across all 50 states, at no cost to families, teachers, or libraries. And the cumulative value of our in-kind contributions exceeds $100 million to date. 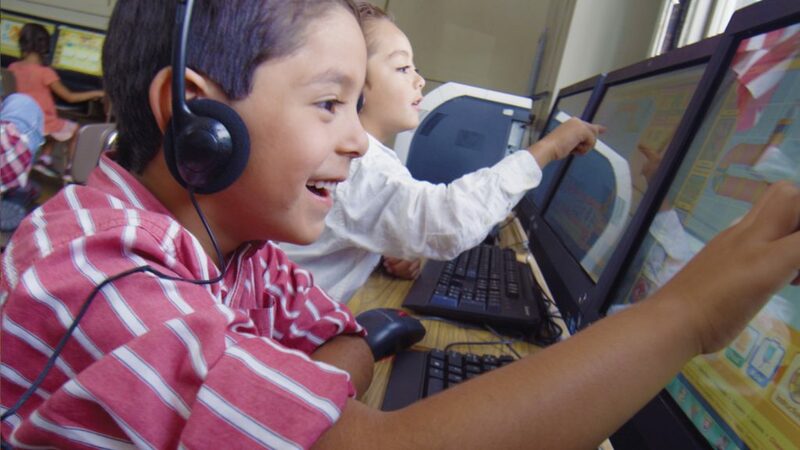 In 2011, shortly after we launched ABCmouse.com Early Learning Academy, we developed a fully-featured version for teachers to use in their classrooms at no cost. Since then, ABCmouse for Teachers has grown every year and served several million students in preschools, Head Start centers, and elementary schools across the country. More than 140,000 teachers, including approximately 1 in 4 kindergarten teachers, used ABCmouse in their classrooms during the last school year. Recognizing the critical role of libraries in serving at-risk children, we created ABCmouse for Libraries in 2014 to make ABCmouse available for free in public libraries. Librarians have embraced this program, which families can now access in more than 7,800 public libraries—close to 50% of all library branches in the U.S.—including more than 70% of the 200 largest library systems. Over the past year, children have completed more than one million ABCmouse learning sessions in public libraries. In 2015, we launched ABCmouse for Community Centers to provide free ABCmouse access in afterschool programs, computer centers in public housing facilities, and other community centers that want to offer educationally enriching experiences for children with limited resources. We have partnered with the U.S. Department of Housing and Urban Development and ConnectHomeUSA to serve families living in public housing in more than 70 communities. Today, ABCmouse is available in hundreds of community centers and public housing authorities across 43 states. We couldn’t be more excited about continuing to scale this work going forward!